It's another fantabulous day here in Episode 59 of Low-Carb Conversations with Jimmy Moore & Friends as our co-hosts Jimmy and Dietitian Cassie keep the conversation going with two more awesome guest friends and a whole slew of health headlines to dissect, rip apart and make sense of. Your outpouring of love and support for this weekly show that airs on Fridays has been nothing short of spectacular. We are so very grateful for the many contributions our faithful listeners have given us to keep this podcast on the air. 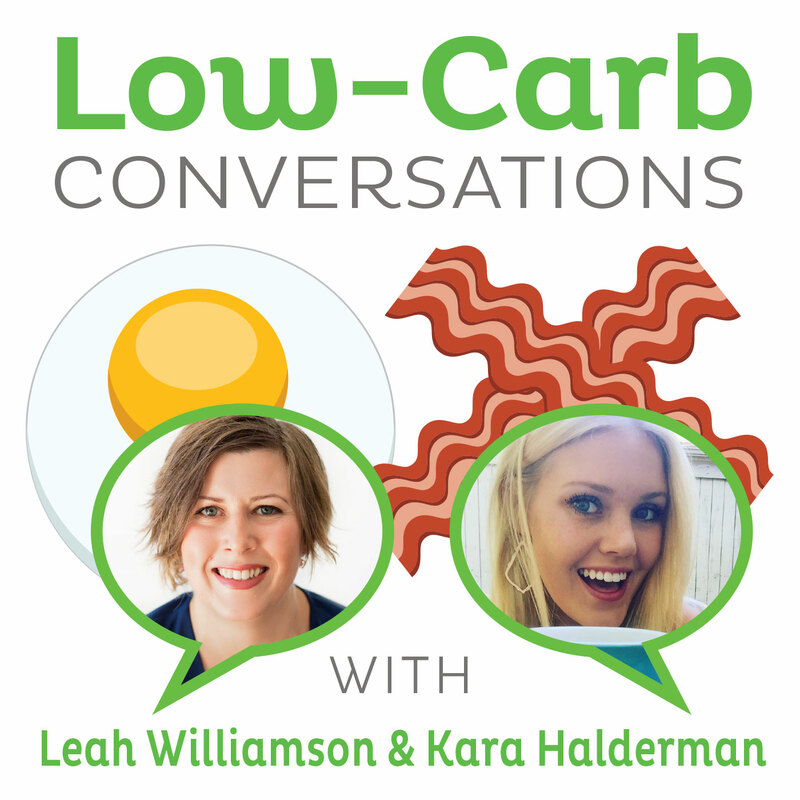 "Low-Carb Conversations" serves as a weekly rallying call for all of us who believe so strongly in the principles of healthy low-carb and Paleo living. If you are encouraged in your own low-carb lifestyle and like what you hear from Jimmy, Cassie and their guest friends, then jump on the bandwagon and support our efforts to keep this LISTENER-SUPPORTED podcast going by making a donation. If you hadn't noticed, we LOVE doing this show and bringing you some of the most exciting opinion-makers and interesting people in the low-carb and Paleo community! THANK YOU so much for your continued support. We've got two more of those fabulous peeps to share with you today as we welcome our guest friends Victoria Johnson from the "Thin Thighs Program" and Stanley Fishman from the "Tender Grassfed Meats" blog (Stanley is also the author of two outstanding books called Tender Grassfed Meat: Traditional Ways to Cook Healthy Meat and Tender Grassfed Barbecue: Traditional, Primal and Paleo and was featured on "The Livin' La Vida Low-Carb Show" podcast in Episode 342 and Episode 518). Listen in today as Jimmy, Cassie, Victoria and Stanley chime in about why the Atkins and Dukan diet are NOT the same, a grocery store in New York state giving away FREE statins, an HMO offering up a not-so-healthy health dessert, revelations that the recent egg yolks as bad as cigarettes study was tied to Big Pharma, a discussion of the continued fear of saturated fat, why our hunter-gatherer ancestors never got fat and a gentle warning about letting diet bias get in the way of our nutritional education (yes, even those of us who support healthy low-carb living!). Plus, as always, we've got some delicious low-carb recipes to tantalize your taste buds at the end of the show. It's time to pull up a chair, grab a cup of coffee and let's talk about it on the Virtual Porch! - Victoria Johnson's "Thin Thighs Program"
Jimmy Moore and his new co-host Dietitian Cassie keep the good times rolling in Episode 58 of Low-Carb Conversations with Jimmy Moore & Friends with even more stimulating topics for our prestigious panel to bat around ripped straight from the latest health headlines of the day. THANK YOU to so many of you for your encouraging feedback about the addition of Dietitian Cassie as the new co-host of the show. Her registered dietitian credentials certainly make her contributions that much more valuable and we are so grateful to have her on as part of the "Low-Carb Conversations" team now. Don't forget, if you like what you hear from Jimmy, Cassie and their guest friends, then by golly won't you consider supporting our efforts to keep this LISTENER-SUPPORTED podcast going? You can do that quickly and easily by making a donation showing your support for the work we are doing to spread positive messages about healthy Paleo/low-carb living! We appreciate all of your loving support. This week is a load of fun as we welcome two truly AMAZING guest friends, including Holly Morello from "The Paleo Blog Of Yay" and George Bryant from the "Civilized Caveman Cooking Creations" blog. They did a spectacular job chiming in with Jimmy and Cassie on a wide variety of hot health topics, including that recent study showing high normal blood sugar levels can make you a pea-brain, the late Michael Clarke Duncan's tragic death from a myocardial infarction in July that took place three years after he began a vegan diet, controversy over Wheat Belly author Dr. William Davis calling wheat a "perfect, chronic poison," the new dietitian trend in grocery store marketing, an update on a Paleo diet blogger's (Steve Cooksey from the "Diabetes Warrior" blog) First Amendment lawsuit against dietitians in North Carolina who wanted to shut him down, a pro-dietary fat column out of Australia (where Jimmy will be doing a three-week speaking tour in November), even more good news for low-carb diets in a recent meta-analysis and an optimistic post by The Nutrition & Metabolism Society's Dr. Richard Feinman blog post on some exciting new evidence that low-carbohydrate nutrition is finally starting to penetrate into mainstream scientific research circles. And don't miss some truly delicious and nutritious recipes shared by Holly and George at the end of the show! You know what to do: pull up a chair, grab a cup of coffee and let's talk about it on the Virtual Porch! - Holly Morello's "The Paleo Blog Of Yay"
- Could the 'truth' about fat be rendered obsolete? - We're LISTENER-SUPPORTED: DONATE HERE! - The Marilyn Monroe Diet: Eggs, Meat…And Ice Cream? It's time again for a superb show for you in Episode 55 of Low-Carb Conversations with Jimmy Moore & Friends with your co-hosts Jimmy Moore and Mindy Noxon Iannotti who makes a BIG announcement during the show today. Don't miss it because the news impacts the future of this podcast. This listener-supported podcast is so satisfying bringing you some of the most interesting people talking about the most current health headlines of the day. What a pleasure it is to create this cutting-edge show to get the low-carb angle and response to what's out there in the mainstream. If you are enjoying what you hear on this podcast and want to help us stay on the air, then consider making a donation of any amount towards doing that. It's been a true privilege to bring you this podcast and we are incredibly grateful for all of your wonderful love and support for us. THANK YOU for keeping the message of the healthy low-carb lifestyle alive! Today we have Keri Rogers from the "Yogi Wellness Journey" blog and Jolene Park from the "Healthy Discoveries" blog talking about several interesting health headlines, including that recent egg yolks is as bad as cigarettes study, fair-inspired Krispy Kreme doughnuts, new obesity rates from the Centers For Disease Control, obesity education for kids, running a marathon eating fat and local advocacy for animal foods. We have some great opinion-makers with us today in Keri, Jolene, Mindy and I talking about these topics and some super low-carb recipes. So pull up a chair, grab a cup of coffee and let's talk about it! 1. Sprinkle salt and pepper over the skirt steak. Rub fresh ginger and aminos over both sides of the steak. 2. Place covered in the refrigerator to marinate over night. 3. Preheat oven to 250 degrees Fahrenheit. Heat a medium sized skillet over medium heat. Once pan is hot, sear the meat for 1-2 minutes per side. Place in a baking dish. 4. Bake for 3 hours. Cool in the refrigerator. Recipe by Nutritionist Keri Rogers and Chef Tanner Marino. It's time for more fun here in Episode 53 of Low-Carb Conversations with Jimmy Moore & Friends as your enthusiastic co-hosts Jimmy Moore and Mindy Noxon Iannotti enjoy another hour-long chat about this, that and everything in between in the world of low-carb and Paleo living. If you like what you hear in this listener-supported podcast, then why not be a part of helping to keep it on the air by making a donation of any amount? We've been overwhelmed with the outpouring of love and support you all have given us and we sincerely appreciate the investment you have made in making this show possible week in and week out. THANKS so very much for supporting us and we look forward to bringing you many more excellent episodes in the months and years to come! Today we have two more awesome low-carb friends to share some room with Jimmy and Mindy on the Virtual Porch in registered dietitian Margaret Tosi and chiropractor Dr. John Mitchell. Listen in as our distinguished panel discusses the folly of "just eat less" for weight loss, what real Olympians say they eat, actor Alec Baldwin making the switch to low-carb Paleo, the real dangers of junk food (and it ain't the fat in it! ), another positive Paleo diet success news story, a new study showing better blood sugar control with a low-carb diet than a low-fat one (DUH!) and an awesome compilation of the research supporting low-carb diets from former guest Tom Nikkola. Plus, both Margaret and Dr. Mitchell have some delicious low-carb recipes to tickle your taste buds and nourish your body well. So pull up a chair, grab a cup of coffee and let's talk about the health headlines of the day! - "The magic formula to losing weight: Just eat less"
- "Performance enhancers (What Olympians are eating)"
- "Here's The Thing with Alec Baldwin: Interview with Dr. Robert Lustig"
- "Junk food inflames fatty tissue more than lard"
- "The caveman diet: Getting to the meat of Paleolithic nutrition"
- "Research Update: Low-carbohydrate diet improves glycaemic control compared with advice to follow a low-fat diet"
- "The link to the actual August 2012 Diabetologia study"
- "Low-Carb vs. Low-Fat — What Does Research Show?" In a small sauce pan, melt the butter, coconut butter, and coconut oil together using low heat. When dissolved, add vanilla, Stevia, and cinnamon. Pour into nut/date/protein powder...mix throughly. Put eggs into mix, and stir throughly. In 8x8 pan, coat bottom and sides with butter. Put mixture into pan, press firmly into pan, sprinkle shredded coconut on top, and press/work that into the mixture. Then remove foil, and bake for 5-7 minutes until lightly toasted on top. Mix all together. Use as veggie dip, sauce for any meats, just about anything! This one I use for dipping into with veggies:(not really "paleo", but it is all dairy fat, so no issues with milk lactose, milk proteins, etc. Hey there all you wonderful people and thanks for joining us on the Virtual Porch for Episode 52 of Low-Carb Conversations with Jimmy Moore & Friends! Your co-hosts Jimmy Moore and Mindy Noxon Iannotti are back from a brief two-week hiatus with a fantastic hour-long chat with two more of their fabulous friends from the low-carb community. We so enjoy doing this listener-supported podcast for you and are grateful to the countless many who have donated to help keep us on the air. 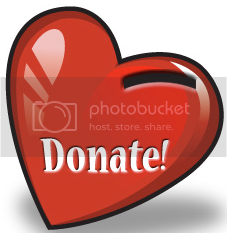 If you would like to be a part of the "Low-Carb Conversations" podcast support team, then feel free to SHARE YOUR DONATION of any amount and we'll keep pumping out informative, entertaining and educational shows for you to enjoy in the months and years to come. THANK YOU SO MUCH! Today we welcome in two incredible low-carb friends with us in nutritionist and fitness expert Rebecca Rovay-Hazelton from the "Choosing Health Now" blog as well as Mobile, AL-based relief physician Dr. Mike Tremba from the "Natural Weight Loss Truth" blog. Listen in as this prestigious panel discuss that recent British Medical Journal study claiming low-carb diets will give you a heart attack, whether eating dessert at breakfast (!) will result in weight loss, some subtle lies being put out there about the Atkins diet, the low-carb diet burns the most calories study, why fat-free dressings are completely useless to you if you put them on a salad and Diane Sanfilippo's excellent column challenging the notion of Paleo perfectionism. As always, Jimmy, Mindy and friends have got so much to say about these health headlines. Plus we share some recipes and cooking tips at the end to enhance your healthy low-carb lifestyle. So pull up a chair, grab a cup of coffee and let's talk! - "Heart Attack Risk In (Low-Carb) Dieting"
Dr. Yoni Freedhoff at Weighty Matters: "What Reading That Low-Carb Gives You Heart Disease Paper Actually Told Me"
- "Diet Treat Yourself: Eating Dessert at Breakfast Can Aid Weight Loss"
- "Priority Health: Atkins diet (BayNews9 in Florida)"
- "Low-carb diet burns the most calories in small study"
- "No-fat dressing may cut salad benefits"
- "Are you paralyzing others with Paleo Perfectionism?" - "Atkins diet 'raises risk of heart disease ' because of a surge in cholesterol levels"
- Denise Minger's "Is It Time to Retire the Low-Carb Diet 'Fad'?" - "Why our food is making us fat"
- "Confused About Carbs? 5 Common Myths"
- "Overweight or Obese? Maybe it’s not just you"